I’ve been commissioned by Opera Theater St. Louis to compose a full length opera for their 2015 season, based on Salman Rushdie’s novel “Shalimar the Clown”. James Robinson will direct the production. This is incredibly thrilling – many of my friends know that Shalimar has been a dream project for some years now; I’m still adjusting to the fact that it’s happening! I’m enormously grateful to visionary director Jim Robinson for taking the leadership role in finding a home for Shalimar, and I couldn’t ask for a better one than OTSL – an inspiring organization with a record of producing challenging, innovative new work and powerful productions. DIRECTOR James Robinson is regarded as one of America’s most inventive and sought-after stage directors. He has won wide acclaim for productions that range from the standard repertory to world premieres to seldom performed works, and he is considered the most widely performed director of opera in North America. Past season productions include Il Trittico at San Francisco Opera, Casanova’s Homecoming at Minnesota Opera, The Ghosts of Versailles at Wexford Festival Opera, and Abduction From The Seraglio at Welsh National Opera. In 2008, James was appointed Artistic Director of Opera Theatre of Saint Louis. Opera Theatre of Saint Louis is one of the leading American opera companies, known for a spring festival of inventive new productions, sung in English, featuring the finest American singers and accompanied by members of the St. Louis Symphony. As of 2012 Opera Theatre has presented 22 world premieres and 23 American premieres – which may be the highest percentage of new work in the repertory of any U.S. company. Described by The Sunday Times of London as “one of the few American companies worth the transatlantic fare,” Opera Theatre of Saint Louis welcomed visitors from 45 states and 12 foreign countries in 2011. Although the size of the theater limits box office income to 26% of the budget, the company has consistently produced work of the highest quality while never accumulating a deficit. Opera Theatre has always been known for distinguished leadership: founding general director Richard Gaddes was succeeded in 1985 by general director Charles MacKay, with famed British stage director Colin Graham as artistic director and Stephen Lord as music director. Timothy O’Leary was named General Director in October 2008 with Stephen Lord continuing as music director and acclaimed stage director James Robinson succeeding Colin Graham. 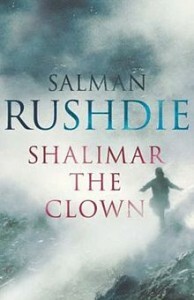 The political is personal, and nowhere more so than in Salman Rushdie’s 2005 novel “Shalimar the Clown”. The book’s themes of personal and political power and betrayal are played against the story of three generations of women, beginning in the “paradise lost” of rural Kashmir and culminating in late 20th century Los Angeles. Shalimar is a young Muslim Kashmiri known for his gregarious personality and his skill as a tightrope walker. His Romeo-and-Juliet romance with a Hindu girl named Boonyi manages to meet with approval from their families and their village, but the romance is shattered when an American ambassador begins an affair with Boonyi. Shalimar goes on to train as an assassin and seeks revenge not only on the ambassador but also the child of the affair, a daughter named India, who lives in California. 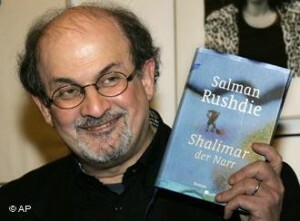 Mr. Rushdie’s novel was a finalist for the 2005 Whitbread Book Awards, and has been described as “Rushdie’s greatest novel since The Satanic Verses” by The Los Angeles Times. The novel’s magic-realist world incorporates Mr. Rushdie’s signature humor, balanced by a thrilling, sinister ending, which offers a bare glint of hope in the form of an unanswered question. In 2010 I was commissioned by the Houston Grand Opera for a one-act opera with playwright Eugenie Chan, for HGO’s East + West project, part of the multi-year “Song of Houston” series sponsored in part by the Andrew W. Mellon Foundation. Courtside was the first East + West opera. It premiered in early 2011, and its success has led to a second commission to compose the final opera of the series. 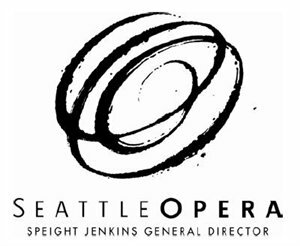 I’m thrilled to work with the wonderful HGOco team again, and feel especially honored to be selected both to initiate and close this innovative commissioning project. Houston’s colorful past, present, and future set the stage for HGOco’s Song of Houston — an ongoing initiative that commissions works based on stories that define the city’s unique character. Song of Houston makes opera relevant through stories that engage hearts and minds. These stories are told through local, national, and international collaborative projects. More than 335,000 people have experienced Song of Houston through music making, photography, creative writing, and other programs that incorporate all of the arts. East + West is a series of chamber operas that celebrate Houston as a meeting place for Eastern and Western cultures. A total of eight operas have been commissioned for the project. Each chamber opera honors culture and community through storytelling and music. HGOco engages artists and individuals from different countries, allowing us to create art about, by, and for Houston’s vibrant Asian cultures. 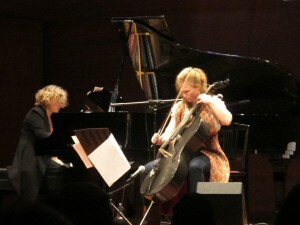 Just a quick note here, to say that Persistence of the Blues, my new piece for TwoSense, the powerhouse duo of pianist Lisa Moore and cellist Ashley Bathgate (Bang on a Can) is finished. It’s a beast – a single movement, twenty minute virtuoso composition. I can’t tell you how eager I am to hear these stunning performers play (the hell out of) it! 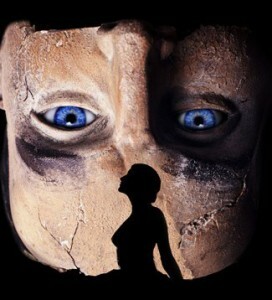 TwoSense will announce dates soon for a 2013 premiere and subsequent performances in New York, San Francisco and beyond. Many thanks to the Barlow Endowment for Music Composition for commissioning this work. I’m delighted to announce performance dates for Pretty Boy, with the Paul Dresher Ensemble!! Pretty Boy is a new electro-acoustic composition, a mono-drama for tenor and instruments focussing on the last minutes in the life of the American bank robber and folk-hero Charles Pretty Boy Floyd. Floyd is an interesting character for so many reasons, notably his daring, legendary heists and preternatural ability to escape law enforcement. He was often romanticized as an depression-era Robin Hood, and in fact he did give large portions of his “earnings” to family, friends, and even to mere acquaintances. But the narrative thread that most inspired both me and author David Brock this cycle had to do with Floyd’s ever increasing isolation. A gregarious family man, the more his fame increased, the more he became a valuable target of an ambitious, young J.Edgar Hoover. As such, he was constantly hunted, and unable return to his beloved wife and young son. 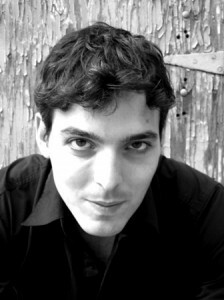 The Paul Dresher Ensemble interprets the ideas and sounds of today’s most innovative and irreverent composers. With energy, virtuosity and incredible attention to the theatrical dimensions of performance, it produces and tours its own works of opera and experimental music theater (developed in collaboration with Obie Award-winning performer Rinde Eckert), and as the Electro-Acoustic Band performs the work of an amazing range of contemporary composers with instrumentation that combines traditional acoustic and contemporary electronic instruments. Virtuoso solo performers like Terry Riley, Joan Jeanrenaud and David Abel frequently join the Electro- Acoustic Band for concerts that redefine contemporary chamber music. David Brock is a playwright, poet and librettist. He created a beautiful set of original poems for this project that weave a vivid picture of Floyd – his bravado, fear of capture, loves, deep regrets and final last words. 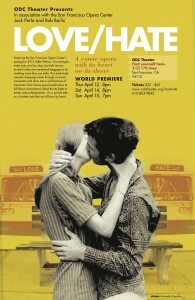 David is the winner of the 2011 Herman Voaden Playwriting Award for his play Wet. His chapbooks of poetry are Gasmask Summer (Emergency Response Unit) and Black Metal Melody (Ferno House). A first collection of poems is forthcoming from Wolsak and Wynn in 2014. His operas have been produced across Canada, the United States, and Europe. He has an MFA from the University of Guelph and currently lives in Toronto. He is currently writing text for a black metal opera (bands and sopranos wanted). I was also recently commissioned for a new work for the Oakland Youth Orchestra, for their 2013 season and tour. Under the guidance of my good friend, Artistic Director Michael Morgan, the Oakland Youth Orchestra is recognized as an outstanding musical organization in Oakland and the San Francisco Bay area. Today OYO consists of seventyfive talented music students aged 12 to 22 from throughout the region. OYO maintains a commitment to cultural exchange, and has toured extensively in Europe, Asia, the Middle East, the Caribbean Islands, Costa Rica, Mexico and Cuba, Italy, and in June 2004, Australia and New Zealand, and in 2007, Greece. The premier will be led by Principal Conductor John Kendall Bailey, an outstanding orchestral conductor, choral director and composer. I was honored to be asked to contribute to two important songbook collections in 2012. The Opera America Songbook was a commissioning project in conjunction with Schott Music, as part of the activities celebrating the opening of the new National Opera Center. I set James Fenton’s delightful poem “Down to the Twigs and Seeds”, sung at the opening concert by soprano Sarah Jakubiak. I also was honored earlier this year when pianist Thomas Bagwell called to ask if I’d contribute a setting of poet Steven Cordova’s “Across a Table”, for the 20th Anniversary edition of the Aids Quilt Memorial Songbook. The presentation will include songs from the 1992 premiere, written by William Parker, as well as songs written for various regional performances of the piece over the last two decades and brand new songs written especially for this performance by me and composers Robert Aldridge, Stephen Dembeski, Herschel Garfein, Gilda Lyons and Wolfram Wagner. Among the performers will be Stephanie Blythe, Amy Burton, Adrienne Danrich, Anthony Dean Griffey, Suzanne Mentzer, Kurt Ollmann, Sidney Outlaw, Randall Scarlata, William Sharp, Michael Slattery, Sanford Sylvan, Monica Yunus, and Camille Zamora. The performance will be at Cooper Union’s Great Hall, on December 1st, 2012. This week, Love/Hate receives its world premiere in an innovative partnership between ODC Theater and the San Francisco Opera! With four singers from SF Opera’s Adler Fellowship program, live chamber ensemble, stage direction by M. Graham Smith and choreography by Chris Black, we’re truly blessed. It’s a gift to have one’s work rendered at this level! I’ll be posting photos and video as we move into the theatre for staging and full rehearsals. Sheri Greenawald, Mark Morash and everyone at the San Francisco Opera Center, and Christy Bolingbrook and the entire staff at ODC Theatre have been a dream team to work with. I’m a bit tired, but I’m having a wonderful time! 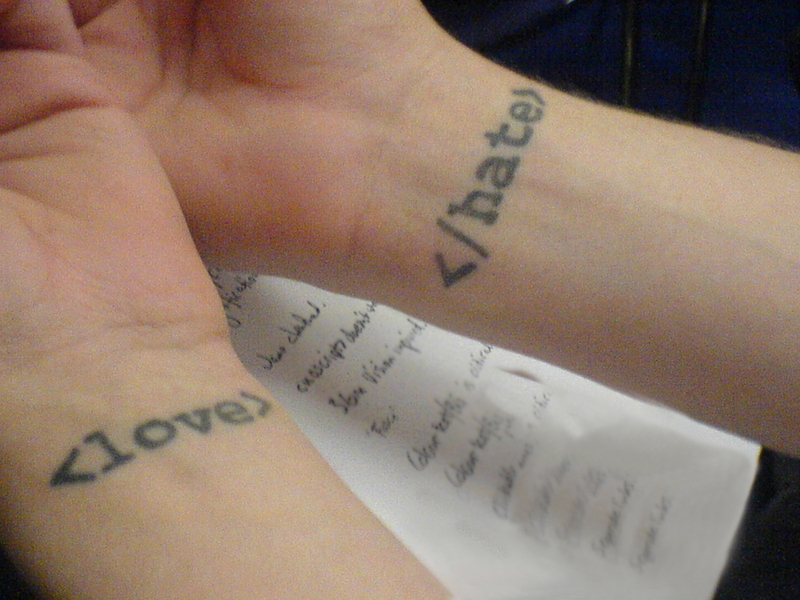 With the upcoming 2012 World Premiere of Love/Hate at San Francisco’s ODC Theater, I thought it would be fun to talk a little about this project and how it came into being. Opera of any stripe in this day and age is ambitious – new opera takes that ambition to the edge of unreasonable, but somehow this story of two unlikely lovers-to-be is capturing support and attention coast to coast. With early investment from American Opera Projects, through their Composers and the Voice program, and subsequent development at Manhattan School of Music’s Page to Stage project, dramaturgy from award winning playwright Albert Innaurato and acclaimed opera director Sandra Bernhard (HGO Co.), scenes from Love/Hate have already enjoyed terrifically well received outings at Galapagos Space in Brooklyn, and at the Philly Fringe. Now with the entrance of Sheri Greenawald and the Adler Fellows of the San Francisco Opera Center, and support from the Zellerbach Family Fund, Andrew W. Mellon Foundation, and ODC Theater’s Director’s Fund, Love/Hate is gearing up for its debut as a fully formed new opera, built on contemporary realities, complex relationship dynamics with which we all can identify, and a groundbreaking approach to music making that draws on more than just contemporary/new music aesthetics, but brings in the true value of contemporary theater – that is to say nothing is sacred.